Starting seeds indoors is very rewarding but it does take focus and effort. After you put you time, energy, and love into your seedlings, you want to make sure they flourish outside. A key to ensuring success is “hardening off” your seedlings before you finally transplant to the garden. 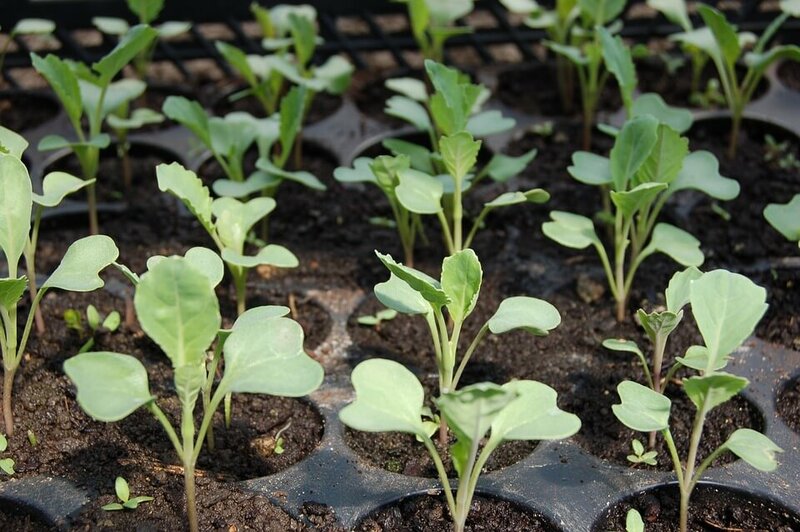 Hardening off is the process of getting seedlings that were started indoors accustomed to the outdoor environment by gradually exposing them to daily shifts in temperature, light, and water. 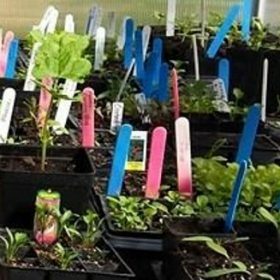 As you prepare your seedlings for transplant, read your seed packet to know when to transplant outdoors, as not at all crops tolerate frost. 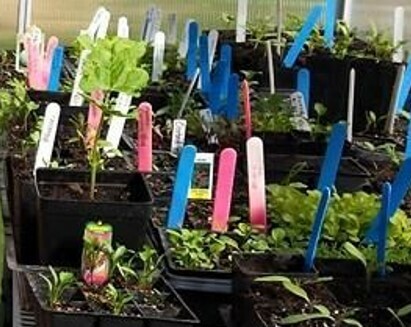 Below are some general guidelines to help your seedlings get off to the best start. Begin hardening off 7-10 days before transplanting outdoors. Start by placing your plants outside in a shady area protected from wind for 1-2 hours a day for the first 2-3 days. Bring them back inside at night. For sun-loving plants, begin putting seedlings in progressively more sun for 2-3 days, being careful at first to avoid harsh mid-day full sun exposure. If the plants you are hardening off are shade or part-shade plants, leave them in the shade or dappled sunlight. Do not put seedlings directly in wind, as they may dry out quickly or snap. After 7 days, your sun-loving plants should be ready for full sun and can stay outside at night if nighttime temperatures are above 45°F. When caring for cool season crops in small containers, err on the side of caution and bring them back inside when it is below 45ºF. Cool season crops like broccoli, lettuce, greens, and cabbage can handle colder temperatures when planted in the ground. After 7-10 days your plants are ready for transplanting. To reduce the stress of transplanting, transplant in the evening, or on a cool, cloudy day. Water plants immediately after transplanting. A diluted dose of kelp or seaweed fertilizer also helps prevent stress. Keeping plants protected with row covers for another week will further help them adjust to their new home and give them some protection against fluctuating temperatures. By following these steps and referring to each packet for specific instructions on when to start the transplant process, you’ll have a head start on your gardening season. Your plants will be growing steadily in their outdoor garden bed in no time!